Project Tote - Have You Any Wool? Gifts > Sheep Shop > Project Tote - Have You Any Wool? 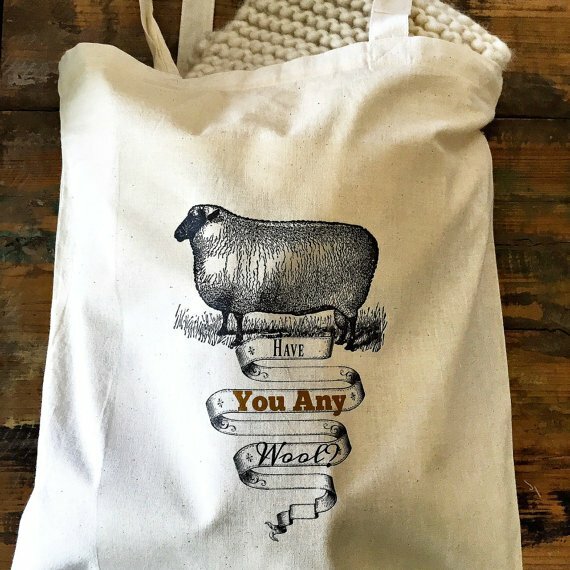 This 15 inch by 16 inch cotton tote bag has two straps, long enough to put over your shoulder, and is printed with a wooly sheep and the question, Have You Any Wool?